Going on right now throughout the country is the month-long training camp for Senior Greco athletes. It is a uniquely executed endeavor; most, if not all camps take place in a centralized location for a week or two, and if you’ve been following recent editions of the Coach Lindland’s Report, you know that isn’t the case here. Instead, Senior wrestlers and coaches are participating in the camp’s directives via satellite from their home training centers. 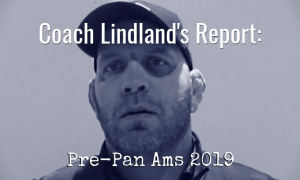 Since the Senior Winter Camp has become an increasingly hotter topic over the last week with many fans asking questions, we plan to make it a focal point in the next edition of the Coach Lindland’s Report due out later this week. 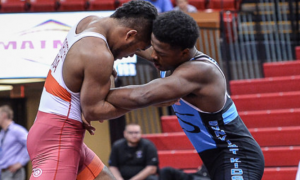 Two Senior Greco-Roman events were held over the weekend in Scandinavia — the Vatter Cupen Grand Prix in Huskvarna, Sweden and the Herman Kare International in Kouvola, Finland. The events differed in the scope of competition present. 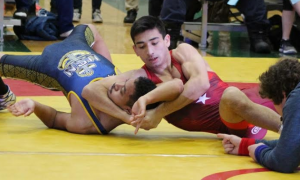 While the Vatter Cupen GP is basically a national tournament for Sweden, the Herman Kare is an annual destination for wrestlers from all over Europe and elsewhere (for instance, Hayden Zillmer was a runner-up there a year ago). One item both tournaments had in common was that many of the medalists had recently paired up with US wrestlers. At the Vatter Cupen GP, Linus Markusson emerged victorious at 55 kilograms. Back in November, Markusson was defeated by Randon Miranda (NYAC/OTS) by tech in the Klippan Cup. It’s the same story for Christoffer Svensson (60 kg, BK Pan), who was downed by Miranda and Benji Peak (NMU/OTS) at Klippan. Svensson grabbed a bronze on Saturday. Alexander Bica (Malmö Tigers) took the top spot at 63 kilos. 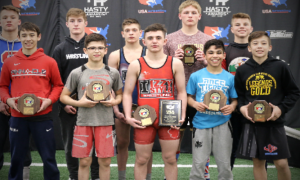 Earlier this year, Bica won the Junior Greco World Duals in California, and after that, scored a victory over Alston Nutter (NMU/OTS) — also at the Klippan Cup. Runner-up Artur Vardanyan (77 kg, Spårvägen Wrestling) is yet another example. Peyton Walsh (Marines) turned back Vardanyan 6-2 last month at Haavisto. Vatter Cupen gold Emil Sandahl (HBK Bergania) represented Sweden at the U23 Worlds in November and came away with a 2-0 passivity-filled victory over Barrett Stanghill (Minnesota Storm). Meanwhile in Finland, Juuso Latvala (60 kg, FIN) snared a bronze — Miranda beat Latvala 6-3 in the Haavisto Cup final. Julius Matuzevicius (87 kg, LTU) is a name most are familiar with. Patrick Martinez (NYAC) turned back Matuzevicius in the repechage round of the 2015 Worlds in Vegas and was supposed to meet up with him again in the Haavisto finals only to see the Lithuanian forfeit out. 130 kilos at the Herman Kare offered two big guys who have tangled with Americans somewhat recently. Oskar Marvik (NOR, fourth place) defeated four-time World Team member Robby Smith (NYAC) back in March at the Thor Masters Invitational, and then was caught and pinned by G’Angelo Hancock (Sunkist) in the gold medal match at Haavisto. To close it all out, Herman Kare silver medalist Artur Vititin (EST) was the man who stopped eventual Cadet World Champion Cohlton Schultz (CO) in the first round of the Junior Worlds. 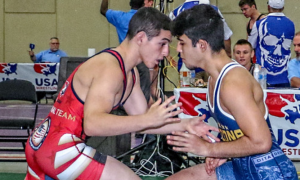 Two of the more exceptional Senior Greco-Roman wrestlers from Scandinavia won their respective brackets on Saturday. At the Herman Kare, 34-year-old Stig-Andre Berge (NOR, world no. 20) was back in action for the second time in as many months. The 2016 Olympic bronze medalist was up at 67 kilograms where he cleaned up a decidedly more youthful Andrey Kulik (UKR) 12-5 in the finals. It isn’t known at this time whether or not Berge will stay at 67, drop to 63, or if/when he is set to go back down to 60 kilos, where he has spent the majority of his sparkling career. 2017 U23 European Championships gold medalist Alex Kessidis (82 kg, AIK Brottning) ran the table at the Vatter Cupen GP in his adopted home country by overcoming 2014 Nordic Championships winner Alexander Jersgren (Marsvinsholms IF) 2-1 in the final. 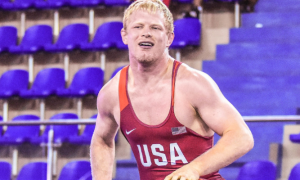 Your weekly dose of inspiring words, knuckleheaded antics, or thought-provoking questions from your favorite US Greco-Roman athletes and coaches. You just knew the Minnesota people were going to lose their minds. Usually when Bisek tweets, it’s a cause for celebration. Maybe not this time. Don’t buy the mean mug, he’s like a saint. Coming at you on a Monday like…. Had to include, for several reasons. This reads like a double entendre for Greco folks. Coming up right away this week is a brief look at Williams Baptist wrestler Chris Anderson (67 kg). 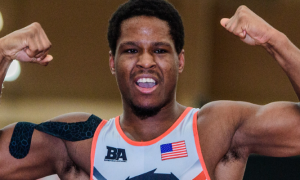 Anderson, a native of the Houston, Texas area, originally began his full-time Greco-Roman career at Northern Michigan a couple of years back. He intended to stay put in Marquette for the long haul, but fatherhood intervened. With his being needed closer to home, Anderson didn’t have a lot of options to continue wrestling — that is until he heard about Williams launching its program. Now, Anderson is back on track with his development and is still able to tend to his priorities off the mat, as well.